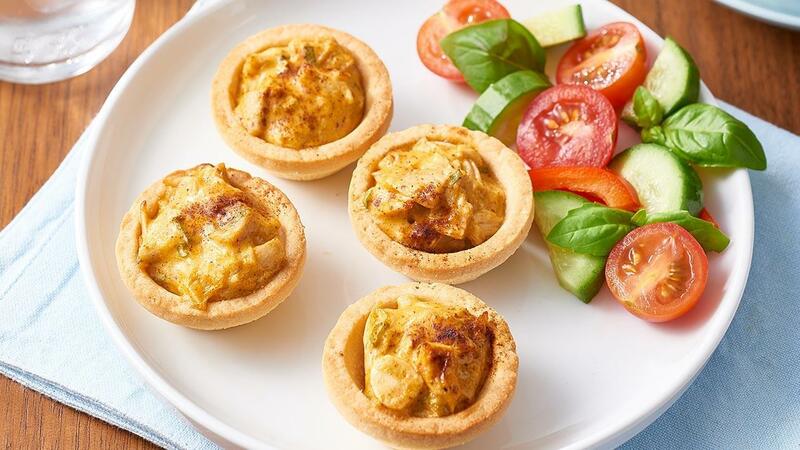 Using pre-made mini tartlet shells and cooked chicken will make this dish easy to prepare. KNORR Patak's Mango Chicken Sauce combined with KNORR Garde d'Or Hollandaise Sauce gives it a delicious mild creamy flavour. Cut chicken into 1cm dice. Combine with KNORR Pataks Mango Chicken Sauce, KNORR Garde d'Or Hollandaise Sauce and green onion. Spoon mixture into tartlet cases and sprinkle with paprika. Bake at 180C for 20 minutes until heated through.